Courtesy photo / From left, Stiffler McGraw employees Jim Young, Courtney Seidel, Chrissy Shura and Cory Gehret load a van with food items to be taken to the American Rescue Workers in 2018. By taking a different approach, local firms hope to make an even bigger impact during the 10th annual Engineers Fight to CAN Hunger. The event kicked off Jan. 23 and runs through Feb. 22. Five teams — Stiffler McGraw, Keller Engineers, Gwin, Dobson & Foreman, The EADS group and McLanahan Corp. — are participating. Participating firms donated 101,171 pounds of food to the American Rescue Workers in Hollidaysburg over the first nine years of the event. This year, the EADS Group will donate to the Altoona Food Bank, while the others will donate to ARW. The event was the idea of Diana McClure, Keller Engineers director of business development. “We wanted to do something to give back to the community. Engineering firms are predominantly male and they like to compete. This is the friendliest competition ever,” McClure said. Three teams competed in the first event, with the highest number of participants being eight in 2013. The teams competed to see who could collect/donate the most food — the winner was determined based on pounds per participating employee. Before the collection period begins, each participating firm provides the number of employees they will use for the competition, McClure said. McLanahan Corp, is the defending champion — the winner gets a traveling trophy to put on display. The format has been changed for this year — the firms are collecting money instead of food. 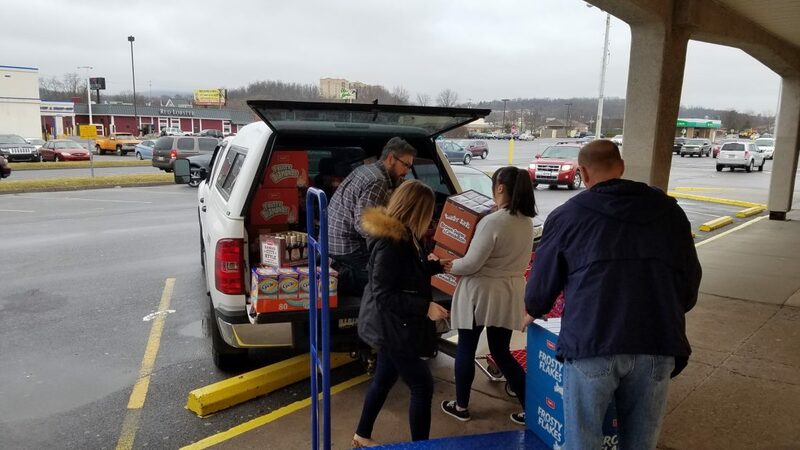 “We found out that the ARW can purchase food for much cheaper than we can from a hub that they use in Harrisburg and we thought they would be able to manage more of their inventory with cash donations and provide a lot more than what we can by purchasing it ourselves,” said Courtney Seidel, Stiffler McGraw marketing director. The participants think the change is a good idea. “The new approach is great. It will not only benefit the families in need, but also the American Rescue Workers will be able to better control their inventory and secure the things that are most needed,” said Ethan Weyant, McLanahan Corp. marketing coordinator. “We support and agree with the new approach that the rescue mission will be able to buy more of the needed items in bulk for a lower cost, resulting in more items reaching more families in need,” said Jessica Sprouse, Gwin, Dobson & Foreman marketing director. The food donations have had a significant impact on the American Rescue Workers. “It has always had a big impact for us, especially this time of the year after the holiday season,” co-director Deborah LaValla said. LaValla also likes the new approach. “We will be able to take the money and buy a lot more than what they have donated in the past. The variety will be different. We purchase from the Central Pennsylvania Food Bank; it depends on what they have available. We will be able to spread our money further. I am excited to see what it will translate into,” she said. The participating firms look forward to the event. “The EADS Group employees are a very community minded group. Over the past 47 years, our employee charity fund has donated over $300,000 to local charities. We are blessed with truly professional and dedicated employees who take great pride in what they do, the contributions they make and the communities they serve,” said Jenn Neff, communications specialist. 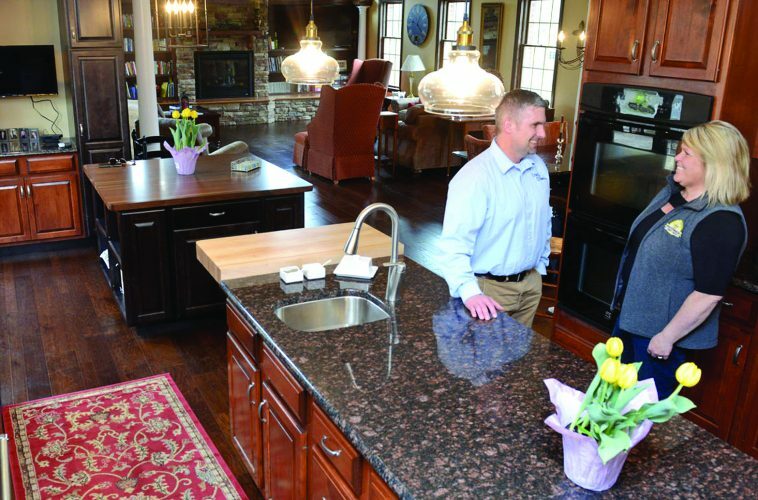 “It is exciting to know we are able to help the community we live in. I live by ‘make a difference.’ It is great to be able to help the less fortunate because we are able to do so,” Seidel said. No specific goals have been set for this year’s event. “Optimally, the goal is to make an impact on the community for those in need; that is the absolute number one goal,” McClure said. The competitors put their differences aside to help the community. “Although we are competitors, we’ve all also worked together on numerous projects. This is an opportunity to collaborate on a great project, helping our community together,” Neff said. “We continually interact with them at community events, on service-oriented projects, in meetings and at conferences; this event provides another opportunity to unite and make a difference,” Sprouse said. Seidel would like to see others participate in a similar event. “Part of our goal is to get other like groups such as attorneys or social clubs to start and do their own competition. That would have more impact on the community. We encourage them to start their own competition,” Seidel said.